While everyone’s busy creating Facebook Ads that rarely convert, and paying Instagram influencers to promote products, many brands and businesses often forget about one of the most powerful social networks available today: Pinterest. With over 200 million active users per month, Pinterest is truly a hidden gem for marketers, bloggers, and startups for promoting brands and products. Especially if you have a WordPress business website or an eCommerce store, Pinterest is a great platform you can use to grow an audience as well. In fact, 39% of Pinterest users are active retail shoppers and 61% of users claim they’ve discovered new brands and products while using the platform. Pinterest is growing fast and since it’s not used by many brands, it offers a unique opportunity for new brands and small businesses to dominate the platform and generate more leads. Growing a following on Pinterest isn’t difficult. Especially if you have a WordPress website, you can use your blog or website to your advantage to get more followers and engagements on your pins. We found 3 great plugins you can install on your WordPress website to help boost your Pinterest marketing strategy. Have a look. Making your blog and website content easily shareable is the best way to get more shares and engagements on Pinterest. There are plenty of free plugins that allow you to embed share buttons on your website to achieve this goal. However, one of the biggest downsides to using these plugins is that they aren’t customizable. As a result, these plugins ruin your website’s branding and consistency by adding rainbow colored buttons to every page. AccessPress is a great plugin that helps you fix this problem by creating custom Pin It buttons to include in your images and blog posts. After installing the AccessPress plugin, you can customize the settings to make a Pin It button appear on all the images on your blog posts and pages so that visitors can easily share your images on Pinterest. You can choose a custom icon for this Pin It button or you can design your own icon and upload it to match your website’s branding. The plugin even allows you to set parameters to make the button appear only when a visitor hovers over an image. 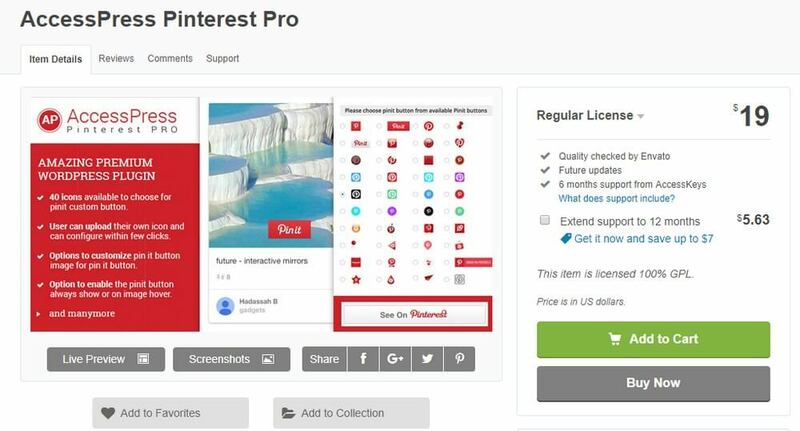 AccessPress also includes several widgets and shortcodes for showcasing your Pinterest profile in the sidebar, creating a Pinterest feed, and much more. If you’re setting up a personal portfolio website, an agency website, or a hotel website, creating an attractive image gallery is an important part of the website making process. Instead of creating a boring image gallery with a bunch of static photos, why not create a great grid-based gallery using your Pinterest feed? That’s exactly what you can make with PinWorks+ plugin. 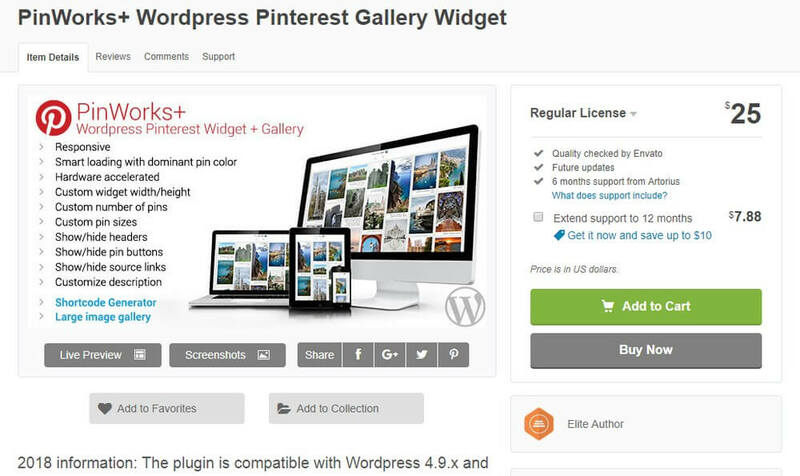 This plugin allows you to create a responsive gallery of your Pinterest Pins. It will help you accomplish 3 things: 1. It will help save website server resources. 2. It will promote your Pinterest profile. 3. You won’t have to install other resource-heavy gallery plugins. Using the PinWorks+ plugin, you can create beautiful image galleries with a responsive grid-based layout to efficiently display images on your portfolio pages, blog posts, and embedding on other areas of your website. The plugin features a shortcode generator for creating custom widgets for showcasing your Pinterest Pins on sidebars and embed into your theme. 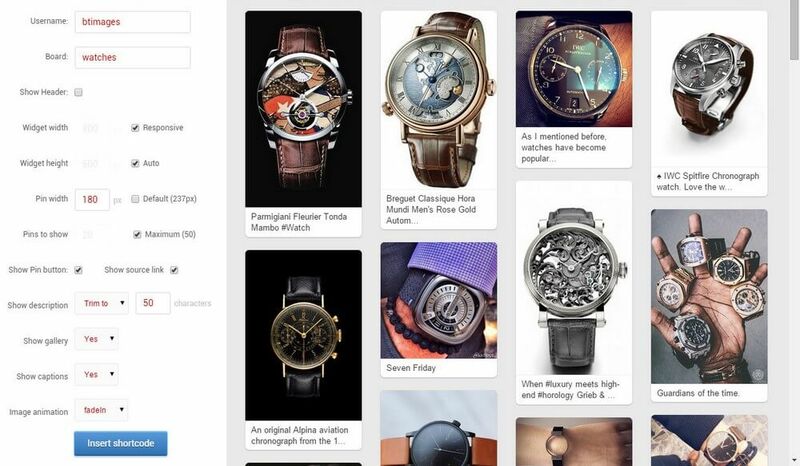 One of the best features of PinWorks+ is its ability to showcase images with links to product pages, just as you see Pins on Pinterest. This is a great feature you can use to promote your own products and affiliate products, especially if you have an eCommerce store website. Sharing content on a consistent basis is the key to growing a following on any social network. This means you have to post content and share your blog posts with your followers according to a schedule. Of course, this can be difficult when you’re a solopreneur managing multiple businesses or a blogger growing multiple websites. Tools like Buffer and HootSuite helps you with this process to some extent but these tools don’t fully automate the process. Social Auto Poster is a plugin you can use to fix this problem. The plugin lets you fully automate your social sharing process to automatically share your newly published blog posts on your social media channels. Using this plugin, you can set up your blog posts to be shared automatically to your Pinterest account and all your other social media channels at the same time. You’ll also be able to automatically reshare your old posts according to a schedule to get more engagement for all your blog posts. The best part is, the plugin also includes an analytics page for tracking how many clicks you’ve received for shared links for each social network separately. Social Auto Poster is truly an all-in-one social media marketing powerhouse. Usually, you have to pay expensive monthly fees to get the kind of features you get with this plugin. By integrating your Pinterest with your WordPress website, you’ll be able to supercharge your social media marketing campaign and grow a much bigger audience on the popular social network. 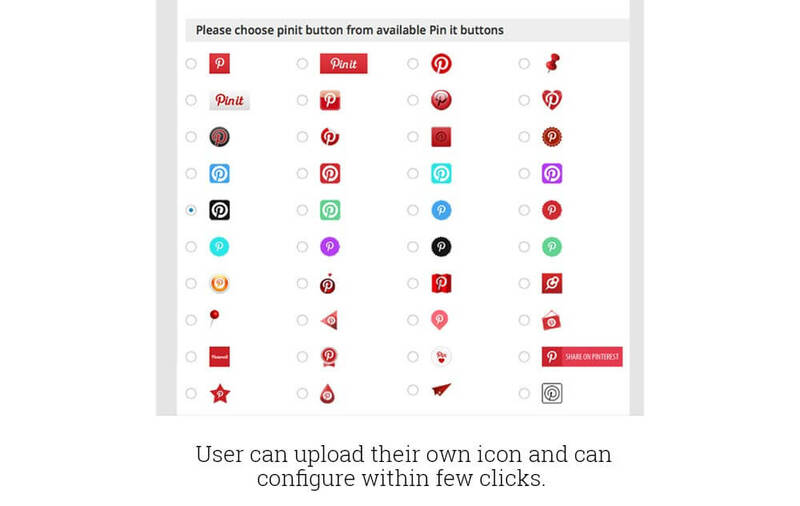 Now pick a plugin and go get started on your Pinterest marketing campaign. If you’re looking for a great theme to build a Pinterest-like website, check out our collection of the best WordPress themes collection. Hiya, I’m really glad I have found this info. Nowadays bloggers publish just about gossips and internet and this is really frustrating. A good website with interesting content, that’s what I need. Thank you for keeping this web-site, I will be visiting it. Do you do newsletters? Cant find it.